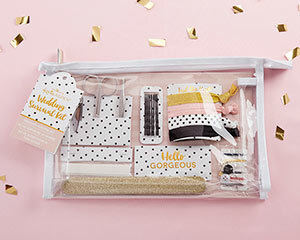 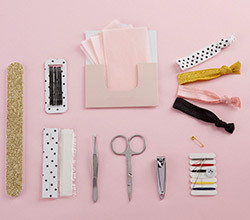 In a chic and timeless polka dot print, our Classic Wedding Survival Kit protects you from the stresses of a fashion emergency! 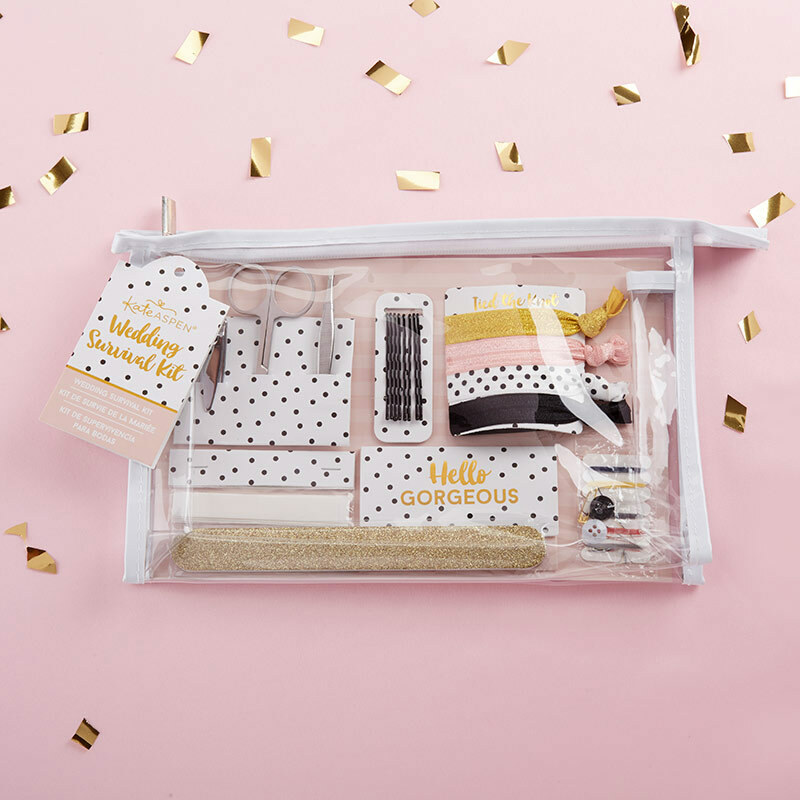 Inside the kit is everything you and your bridal party need to fix nail, hair, cosmetic, or fashion emergencies, and all the pieces are organized together in a chic and versatile clear vinyl cosmetics case. 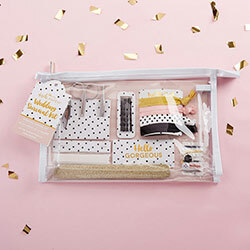 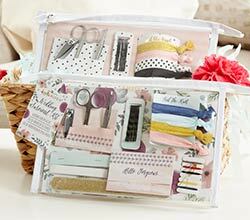 Let your worry go and focus on the fun with a kit that takes care of everything!